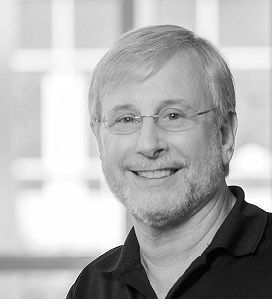 Ron Brachman is an internationally known authority on Artificial Intelligence and Computer Science. He has published extensively, played leadership roles in national and international scientific organizations, and has held senior leadership positions at several top-tier research institutions. He is the Director at the Jacobs Technion-Cornell Institute, which is the most experimental part of Cornell Tech, expressly chartered to push the boundaries of academia, to work closely with large industry and startups, to create innovative new programs and startup companies, and to strive for significant real-world impact, especially in New York City. Previously he was the Chief Scientist at Yahoo and head of Yahoo Labs. He has held numerous leadership positions in computer science and artificial intelligence throughout his career and is well known for his fundamental contributions to Knowledge Representation (KR) in Artificial Intelligence. He is generally known as the inventor of Description Logics (a subfield of KR that has had substantial influence for more than 30 years, including in the Semantic Web), and has been the co-author and co-editor of several books in the area. He is a Past President of AAAI and currently serves on the Board of Directors and as the Treasurer of the Computing Research Association. Computer Scientist, Bolt Beranek and Newman Inc.